Georgia Vascular Institute is proud to introduce the newest service offered to the Georgia Vascular Institute’s patients: telemedicine appointments. This easy-to-use and easy-to-understand feature allows GVI to schedule video chats with his patients, combining convenience and medical expertise. 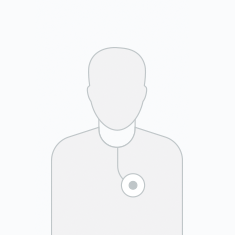 All a patient has to do is schedule an online appointment and use our secure videoconference feature, Doxy Me. Follow these simple steps below to schedule your telemedicine appointment. Schedule a telemedicine appointment with Dr. Subramanian by using the calendar app below or calling (770)-506-4007. Once you schedule your appointment time, a GVI staff member will send you a link to our secure video conference software, Doxy Me, for your telemedicine appointment with Dr. Subramanian. Before your appointment with the Georgia Vascular Institute, be sure to log on to your computer ten minutes before your appointment time. Please be sure that your computer has access to the internet as well as microphone and webcam capabilities. Click the video conference link in your confirmation email or the link below to begin your telemedicine appointment. Please be sure to follow the prompts from the videoconference software, Doxy Me, to successfully access Georgia Vascular Institute via videoconference. If you are having trouble opening the DoxyMe software, please take a moment to view the video tutorial below.